Hurray for Soobies in the Kent and Des Moines area! The ASE-Certified auto mechanics at Premier Automotive Services love to provide auto repair and maintenance services for your Subaru. Subaru has a long-standing reputation for manufacturing a great product that focuses on safety and reliability and that stands in alignment with the mission and vision of Premier Automotive Services; there is nothing more important than the well-being of our customers and we always put you and your safety above all else. 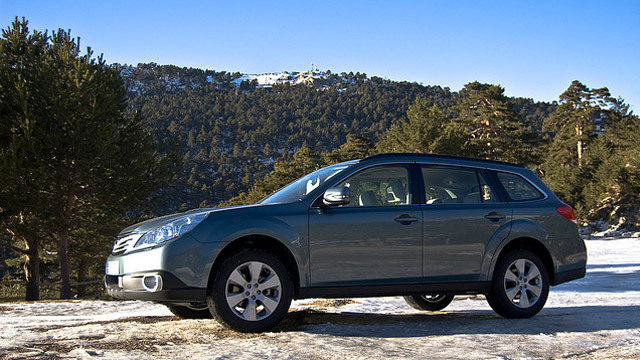 Whether you’re driving a Subaru or another vehicle, our focus is on safety. No matter what is going on with the shop, owner Ryan Hoover believes that helping customers is always the first priority. Not only does he know that without customers there is no business, but he truly cares for his customers and that’s what ultimately motivated him to open the doors of Premier Automotive Services for people in the Kent and Des Moines area. As much as Ryan enjoys cars (such as the Subaru), it’s you, the customer, that motivates him to do this work. “Always honest and great service! Have been taking my vehicles here for years and highly recommend!” -- Rochelle & Chris A. Owner of Premier Automotive Services, Ryan Hoover, knows this business from the inside out having started at 18 as the shop cleaner at an auto repair facility in Renton and has never left the industry. Premier Automotive Services approaches everything we do with integrity and you can count on us meeting our deadlines while never skimping on quality work. We believe in helping you keep your Subaru running in great condition up and through 300,000 miles and we’d love to partner with you to get your Subaru there too. Make your appointment today! You’ll find us conveniently located at 25009 Pacific Hwy in Kent and we’re here 8:00 AM - 5:30 PM, Monday - Friday.